Carlos is focused on providing you with the best results and service in the industry. He listens carefully to understand your real estate goals and work hard to create solutions that make sense for you. Whether you are new to the market or an experienced investor, Carlos has the expertise, proven track record, and resources to help you achieve your real estate goals. As is often said, real estate is about location, location, location. We have extensive knowledge of the Boca Delray area; He can help you find the right home for you or the right buyer for your home. 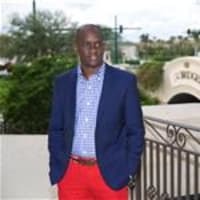 Carlos a native of Barbados is an accomplished financial professional with more than 20 years experience on wall street consulting high profile clients in financial planning and wealth management strategies. Client testimonials elude to the fact that he gets results, possesses excellent communication skills, cultivates positive business relationships. Carlos is a certified International Property Specialist(CIPS),A Certified Luxury Home Marketing Specialist(CHLMS) and a Member of the Million Dollar Guild. The CIPS designation is the only international designation recognized by the National Association of REALTORS®. Only REALTORS® who have completed the coursework and demonstrated considerable experience in global business can call themselves a CIPS designee, and use the name and logo. The same holds true for the CHLMS designee. He is an enthusiastic member of the community, Knows Boca Delray inside and out. Carlos enjoys golf, travel and is active in charities such as Habitat for Humanity, Place of Hope, Stand Among Friends and Children's Miracle Network.